Exciting news for artist Marian Plug. Her work will be shown at Fondation Custodia in Paris in the spring of 2020. Fondation Custodia exists thanks to the famous collection of Frits Lugt, including drawings, prints and artists’ letters. It is not the first project of Plug in Paris, in 1977 she already had a solo exhibition in the then still existing Institut Neerlandais. The solo exhibition on the invitation of Ger Luijten, director of Fondation Custodia and former-director of the Rijksprentenkabinet Amsterdam. 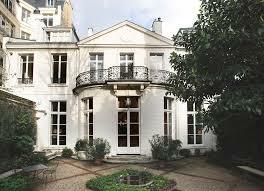 Plug’s oil paintings, screen prints and watercolors will be shown in the eighteenth-century Hôtel Turgot. A book will also appear at the exhibition. Via www.fondationcustodia.fr you will be informed about developments in the exhibition. Before that, the paintings of Marian Plug can only be seen at Bergarde Galleries until 9 September 2018.